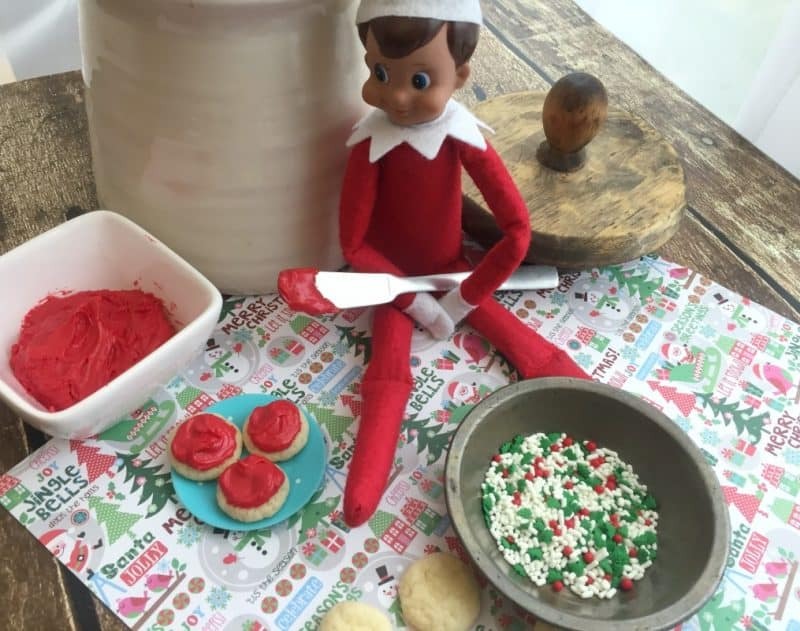 You know by now we LOVE our elves in this house! 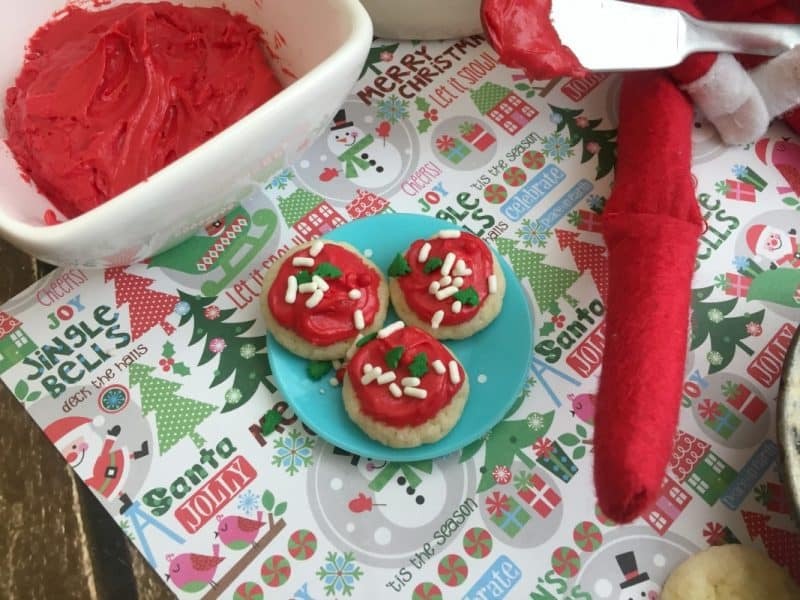 With or without the watching and reporting to Santa the elves are just TONS of fun. Ours like to hide around the house and sometimes leave little surprises- you just never know where you’ll find them or what they’ve been up to. 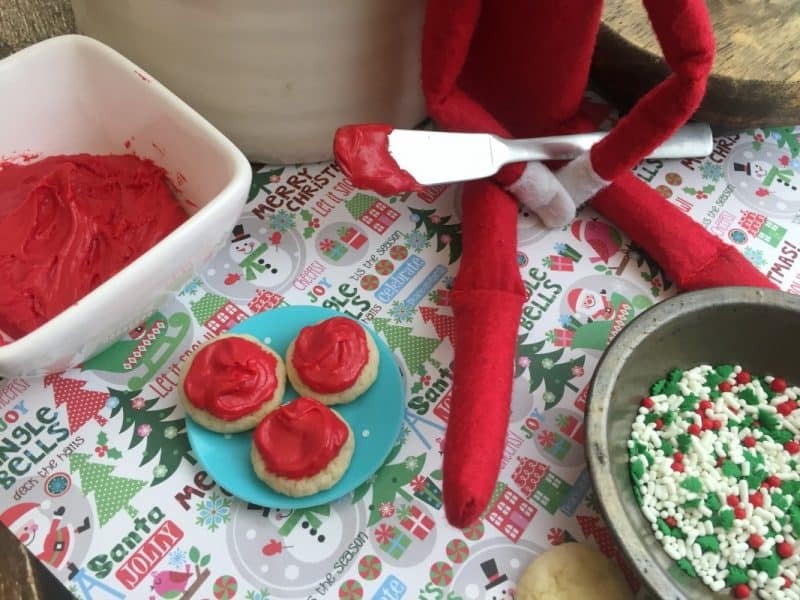 In keeping with elf fun (and helping other parents keep new ideas to use), we have some cake mix cookies for you that are actually made into tiny elf sized cookies for your Scout Elf (or pop in kins or whatever elves you have) can leave! 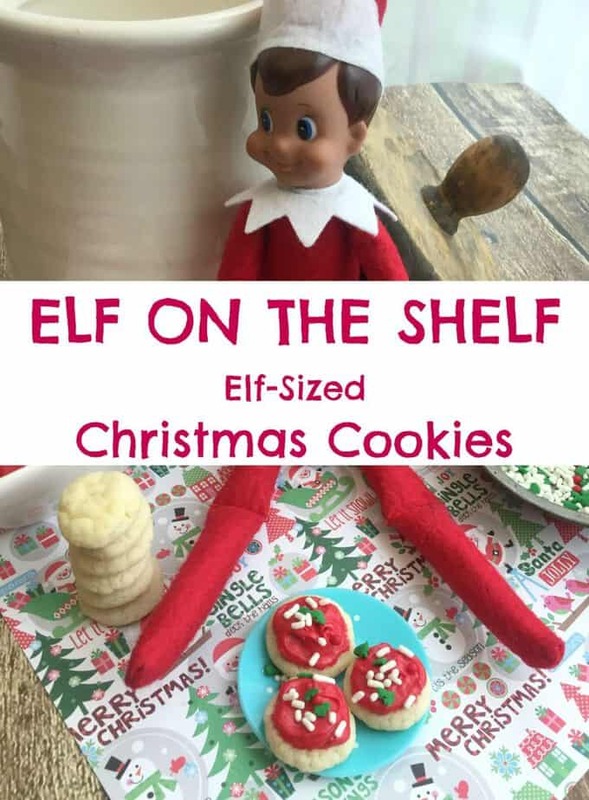 Don’t forget- we have some Elf on the Shelf Lemon Iced Cookies for ALL of you to enjoy, and lots and lots of fun Elf printables like a dunk tank, jail, massage table and more Elf on the Shelf ideas! 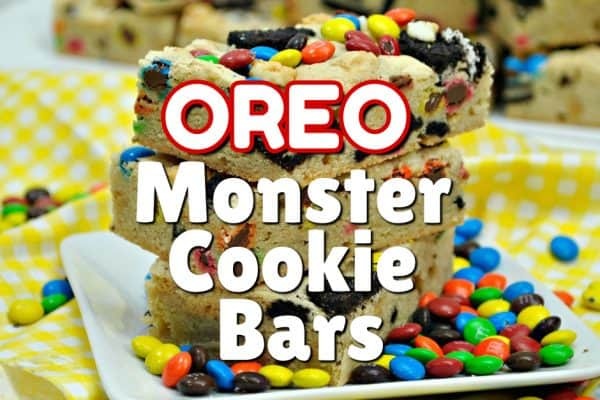 Combine the cake mix, flour, eggs and vegetable oil, mixing well. 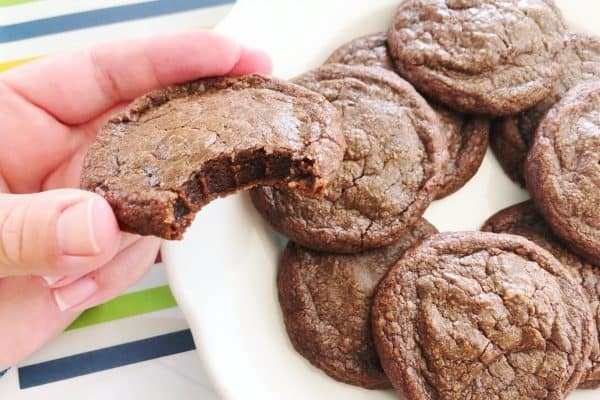 Roll the dough into 1/4″ balls and place on your baking sheet. Bake about 3 minutes (I kept a close eye on mine). 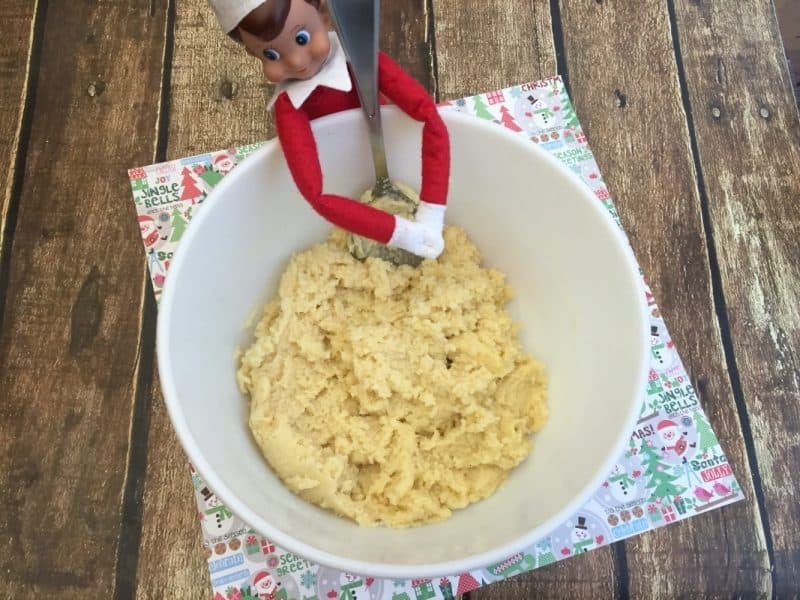 Let cool and let your Elf ‘frost’ them. 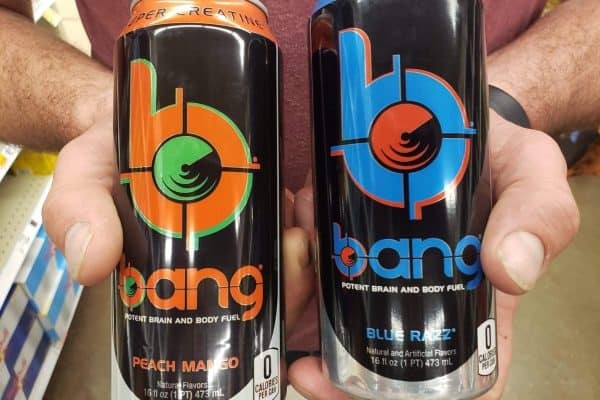 It’s ok to have a few of these. They are tiny portions! 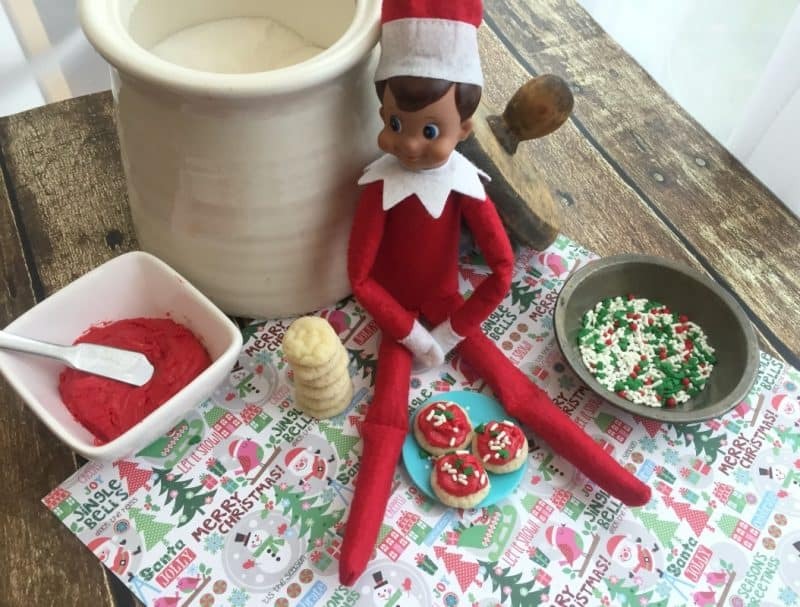 Plus, you just never know when you may want a fun idea for your elf to leave behind! 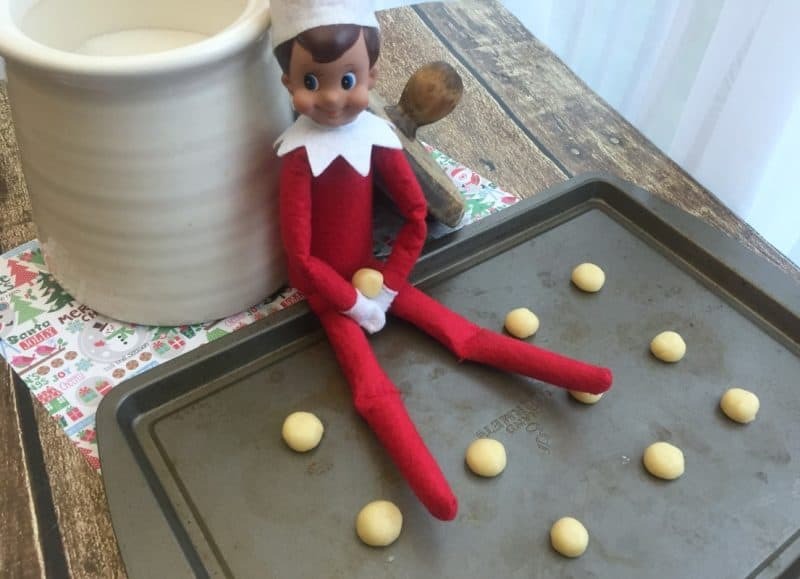 You can also leave some of the cookies unfrosted and pop them in the freezer- your elf may want to bake another batch of cookies in a few weeks, after all! Oh now this is too cute! This is such a cute idea. 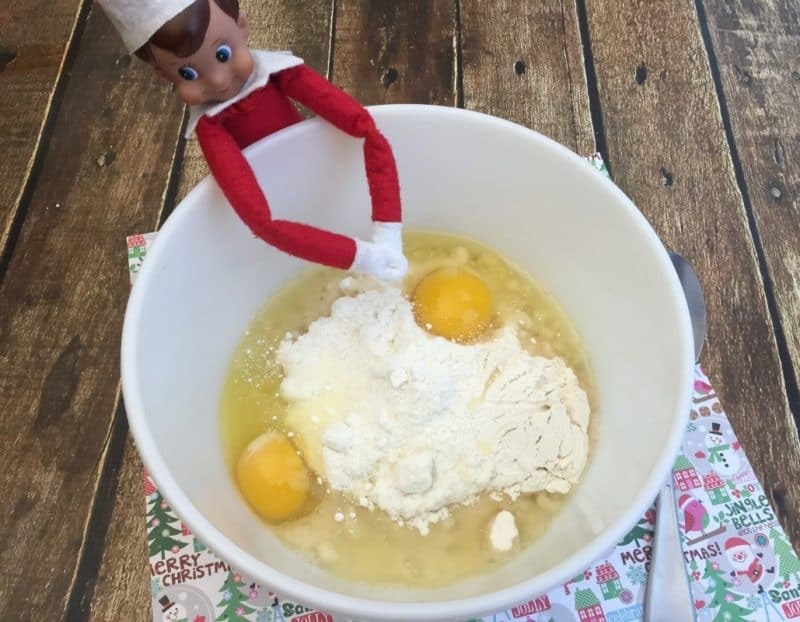 I just love the elf escapades at Christmas! Thanks for sharing with us at Merry Monday. Pinned.